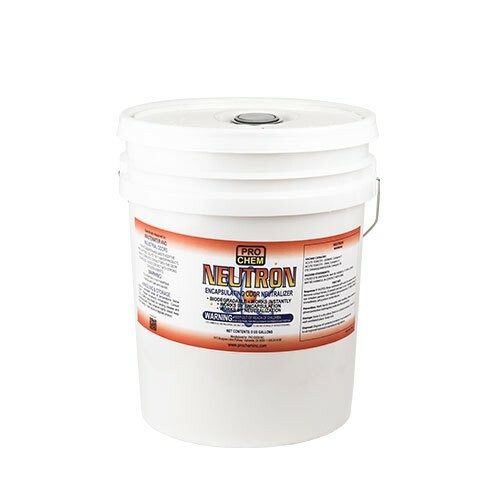 Neutron | Pro Chem, Inc.
NEUTRON is a powerful, yet safe and cost effective, odor neutralizer formulated to combat odor-producing compounds typically found in wastewater and industrial applications. It chemically alters the structure of the odor at the source. For atomization and waste additive applications: Dilute 1 part NEUTRON with 100 parts water. Make complete contact with the odor source. Avoid contact with strong oxidizing agents.